Our itinerary begins with two nights in incomparable Venice, the world’s most famous lagoon. We’ll explore the islands of Burano and Torcello and take a boat ride down the Grand Canal. We’ll visit Padova and the Scrovegni Chapel on the way to a three night stay in romantic Verona with its first century Roman Arena. The villas of architect Andrea Palladio and his incredible Teatro Olimpico follow. A ferry ride across Lake Garda will take us to Riva and further north to the Dolomite mountains, wonderful Bolzano and Austrian Italy. A 17th century Venetian noble palace in Follina is our base for exploring the Prosecco wine region. We’ll discover the village charm of hilltop Asolo and Antonio Canova’s sculptures at Possagno. 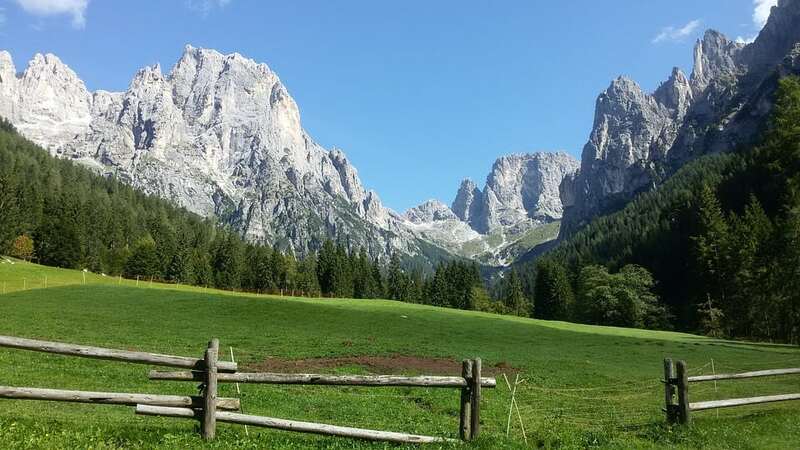 All this and more you will discover in the northeast Italian regions of Veneto and Alto Adige! Our lodging for three nights will be the Hotel Due Torri, a lovely 14th century palazzo in the center of town. Lake Garda, the largest in Italy, is where we’ll spend our morning. After a cappuccino stop in the village of Malcesine we’ll board a ferry for a cruise that will take us across the lake, past the village of Limone and north up to Riva del Garda for a leisurely lunch in the scenic port. Late afternoon we have a fascinating appointment at the South Tyrol Archaeological Museum to see Otzi, the 5,000 year old Iceman – the discovery of his frozen mummy and artifacts in 1991 revolutionized the knowledge of our human past. This morning we’ll take the Dolomite panoramic route back to the Veneto. But before leaving the Alto Adige we’ll have a cappuccino stop in the mountain hamlet of Moena, 3,900 ft above sea level. For our farewell dinner we’ll dine at Villa Abbazia’s Michelin starred restaurant.